Did you miss me? It’s been a pretty crazy few weeks! We bought a house in December, but we basically just shoved our stuff in it, and took off for California and Mexico. Then in January we had house guests for a few weeks in a row so we didn’t get much done, but we finally started working on it at the end of January. We ripped out all of the floor, upgraded the bathrooms, and painted everything. 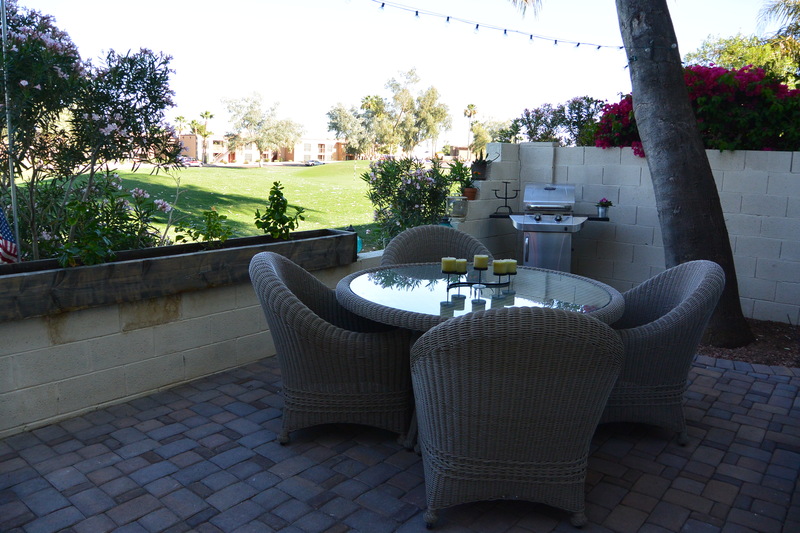 At some point in February, we decided to put it up on AirBnB to rent it out for Spring Training (a big deal in the Phoenix area). We didn’t even have flooring in it then, but we figured we would be able to get everything done no problem. I ended up traveling to NYC and SF for work during that time, so Derek basically was working on the house all by himself. I got back from SF last Sunday, and the renters were moving in on Wednesday. I was working all 3 days as well, so before work and after work I was frantically cleaning and trying to get everything ready. Derek finished laying the last of the tile on Monday(!) and we actually managed to get everything done, just as our tenants were pulling into the driveway. It’s basically a miracle we were able to finish in time, also I have the best husband in the world. It was actually kind of sad, the house looked sooo good after months of work, and then someone else got to live in it before we did! But we’ll be back in there on Wednesday, so we don’t have to wait too much longer.